- Aluminum Structural Channels American Standard (23) 6061 is the least expensive and most versatile of the heat-treatable aluminum alloys. It has most of the good qualities of aluminum. It offers a range of good mechanical properties and good corrosion resistance. It can be fabricated by most of the commonly used techniques. 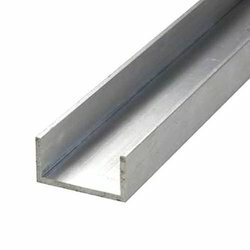 We are the leading company engaged in manufacturing and exporting wide range of Aluminium Channels. These Aluminium Profile Channels are made from very high quality raw material which ensures high durability at its user end. 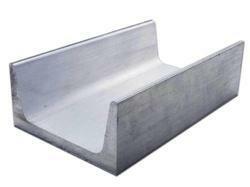 These Aluminium Profile Channels are in high demand in the market. Different sizes and designs are easily available in the market. SPOT INDIA GROUP welcomes Bulk Purchase/Work Orders of All Comapnies Govt Institutions.